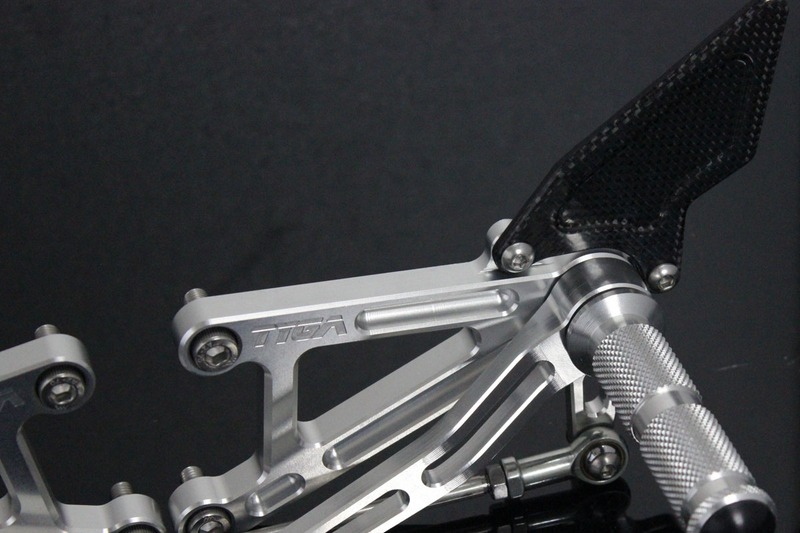 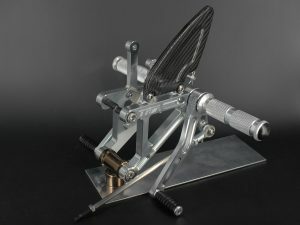 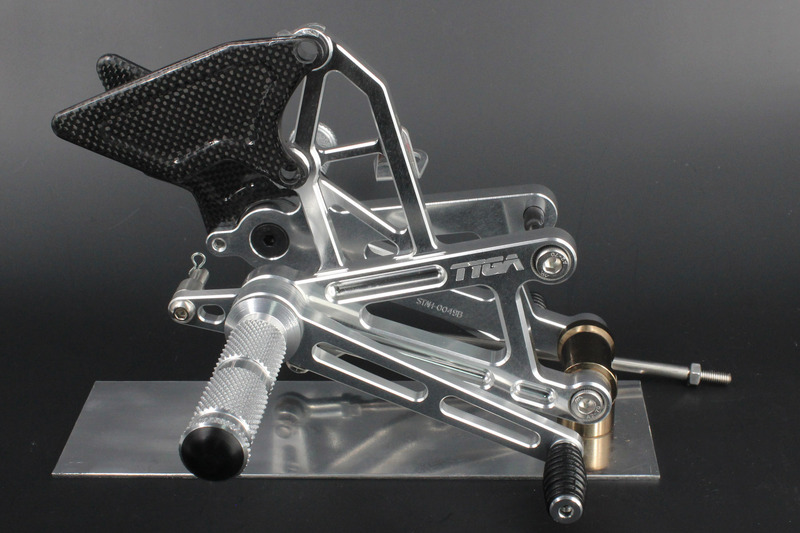 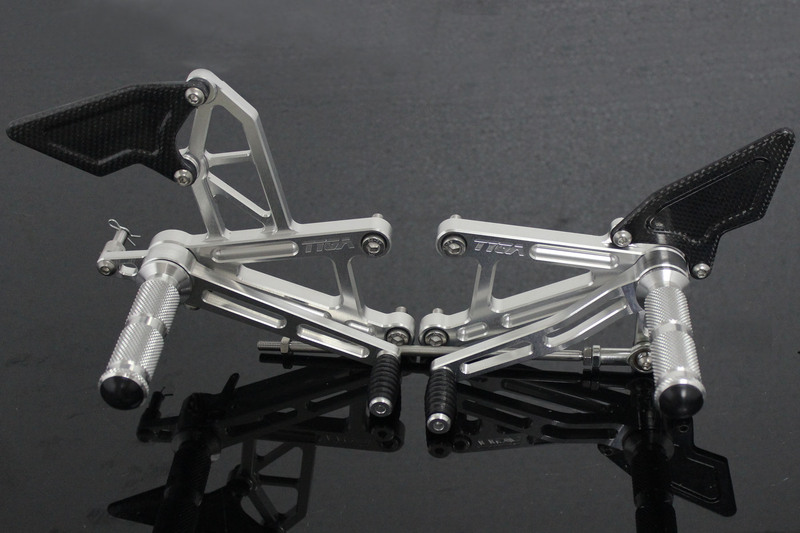 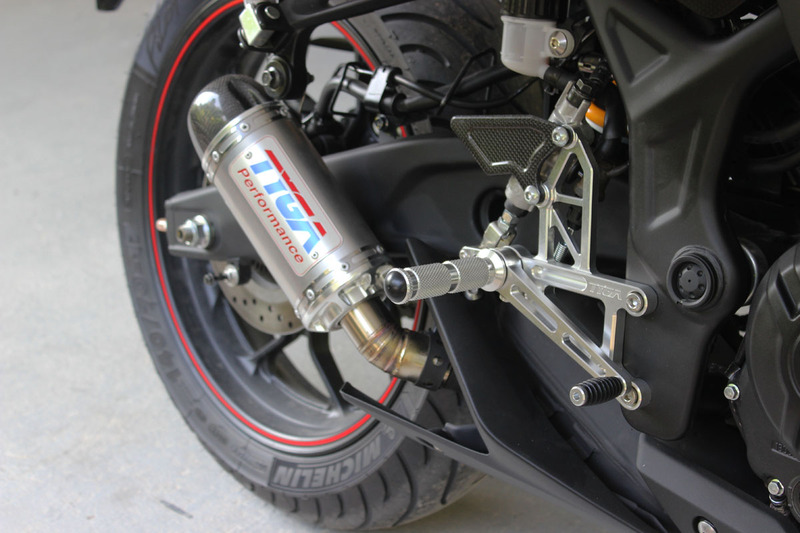 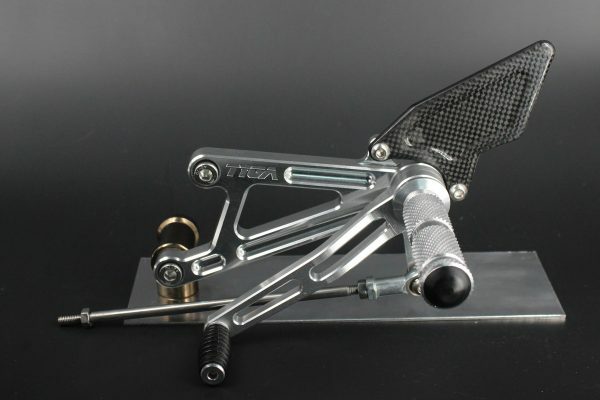 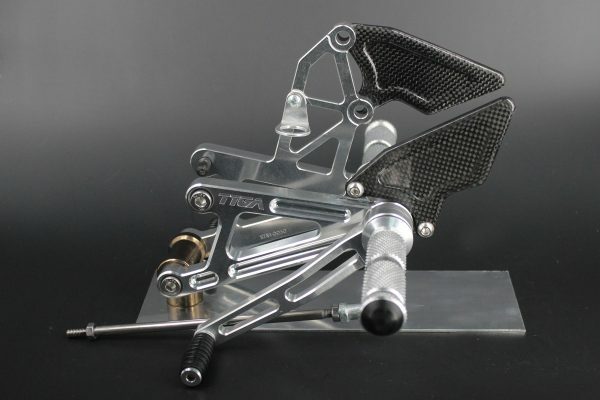 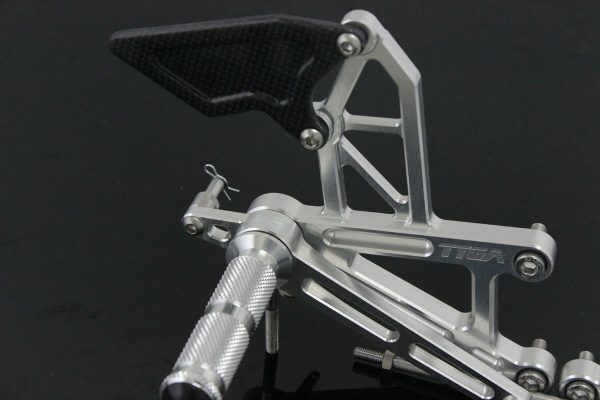 Designed in-house by TYGA Performance using CAD/CAM software, these CNC machine-made step kits are manufactured from top quality aircraft grade aluminium. 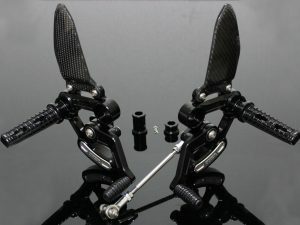 Complete with carbon heelguard on left and right side hanger. 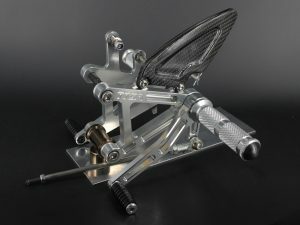 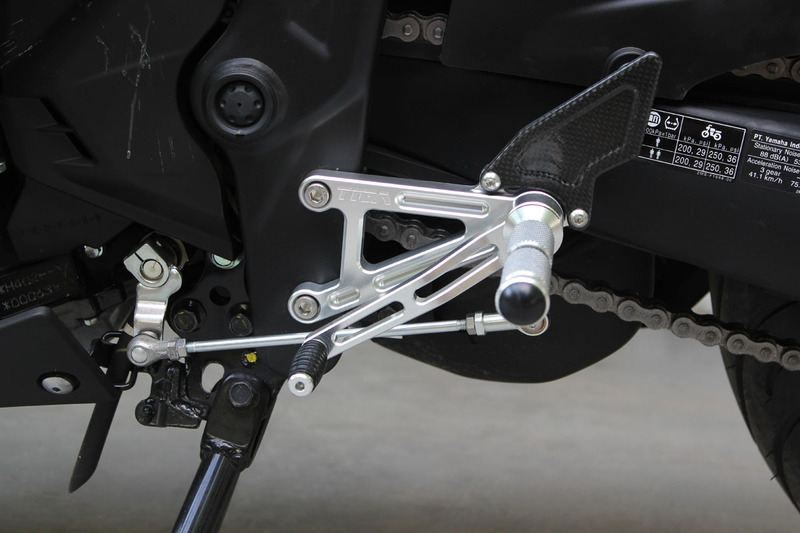 This step kit moves the peg position back 35 mm. 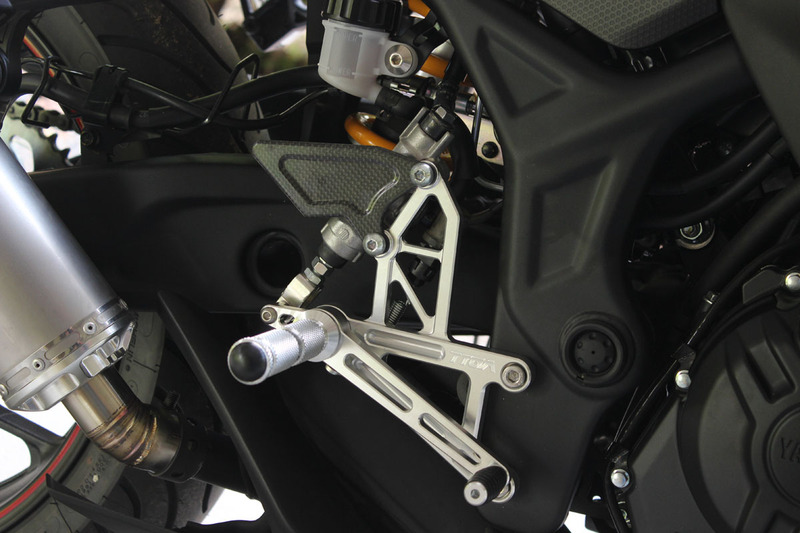 and up 25 mm. 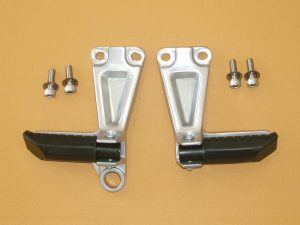 from standard. Pitch of hanger frame mounting holes is 65mm. 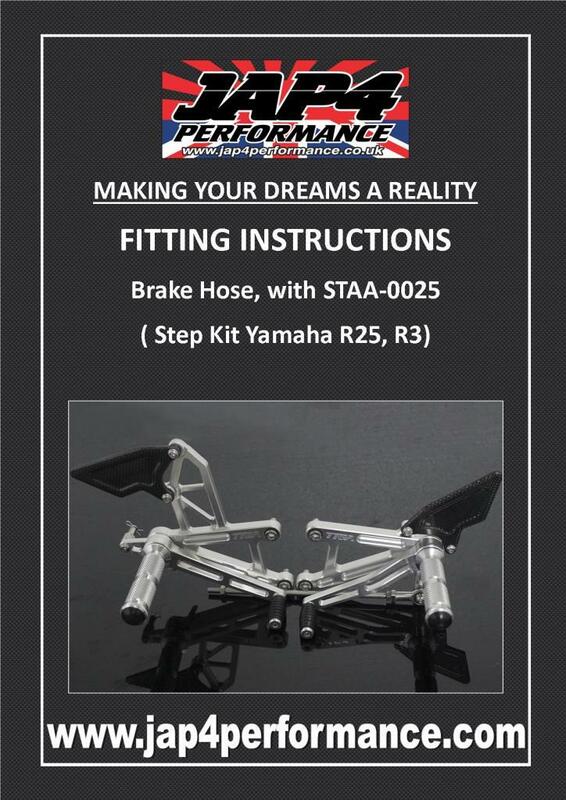 Note: we supply a replacement rear brake line for fitment with this kit for the non-ABS model R25 and R3.